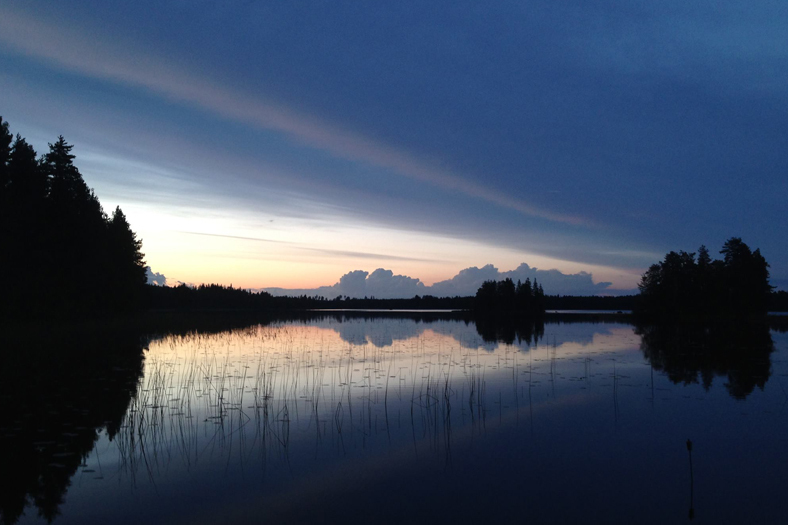 Finnish Lakeland is a blue-and-green labyrinth of lakes, streams and rapids and the area around lake Kyyvesi is an excellent area for canoeing. We offer you a guided 6,5-hour tour on the rivers around lake Kyyvesi. 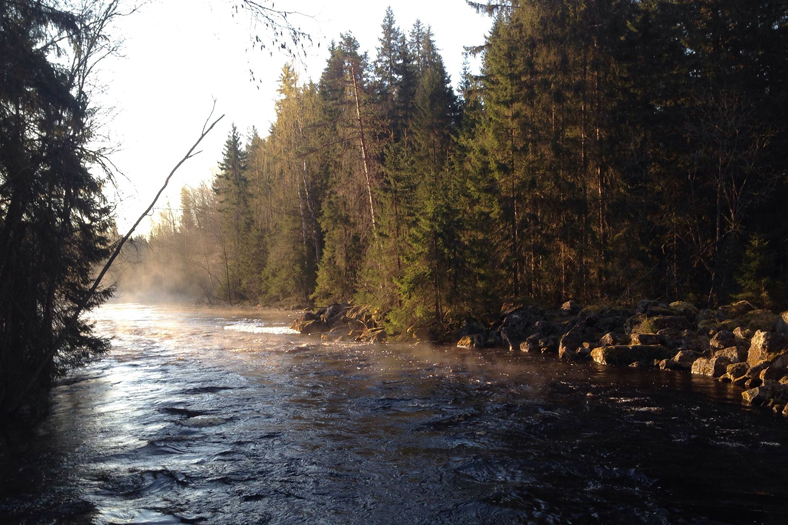 The tour follows an old stone age trading route and starts near the old mill at lake Pitkasjärvi in Porsaskoski. From there we paddle the Pitkäs-river into Nykälä-river, on the shores we will see beaver nests. We continue our tour through the small village Nykälä into lake Kyyvesi. The tour includes 2 smaller breaks and a lunch break at about 12:00. We prepare the food together. All paddlers get a brief paddle training before the tour including maneuvering the canoe in river and open water. 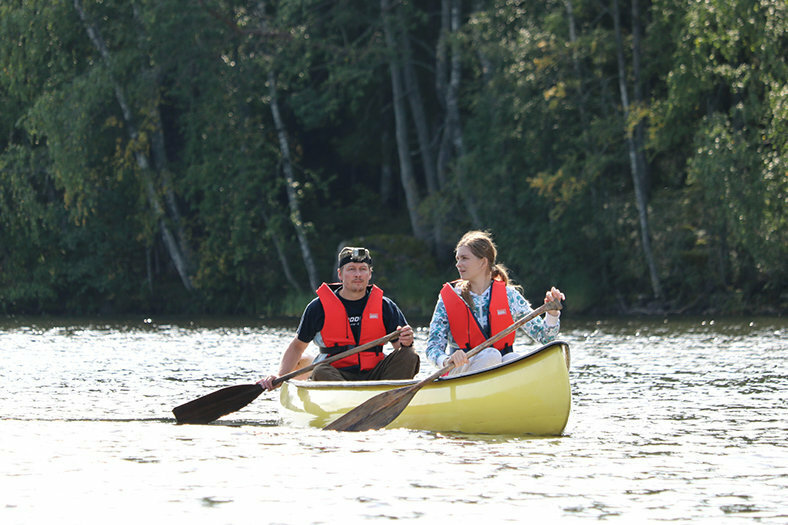 Length: 6,5 hours, start 9 a.m.
Price: 139 Euro/person, Food, Canoe and paddle, personal live vest is included. Including transfer back to the start point at Porsaskoski.